Daily statistics and more visualization of what is happening with your apps. You can also expand Filters to filter all of the data on this page by market and/or by device type. Market: The default filter is All markets, but you can limit the data to acquisitions in one or more markets. Device type: The default setting is All devices. 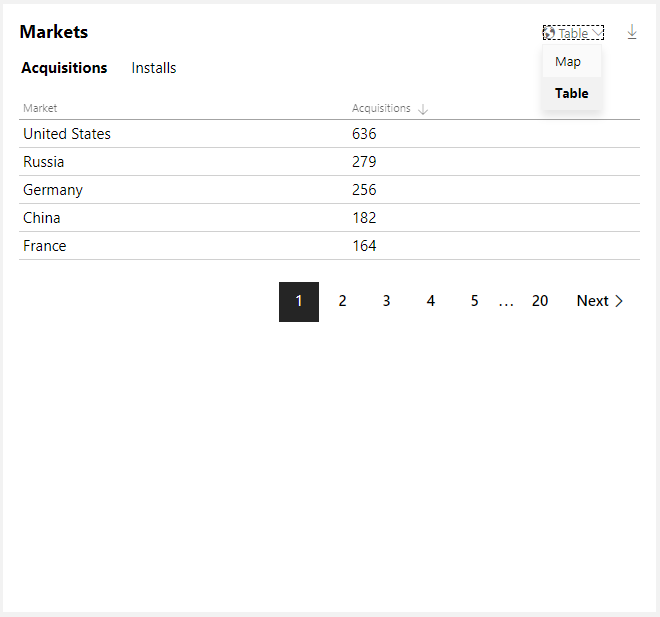 If you want to show data for acquisitions from a certain device type only (such as PC), you can choose a specific one here. 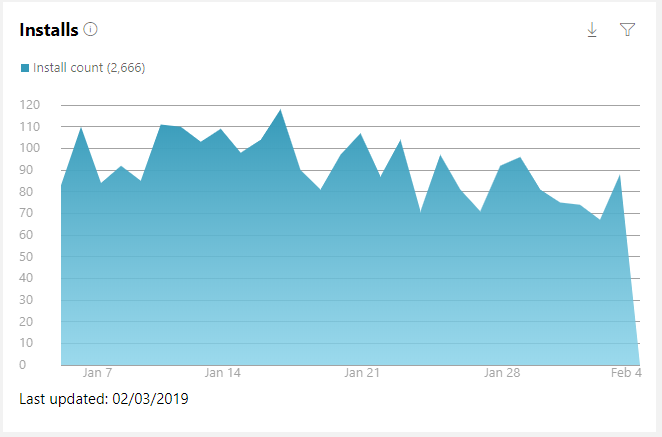 It shows the number of times we have detected that customers have successfully installed their application on Windows 10 during the selected time period. The total number is shown, along with a graph showing the installations per day or per week (depending on the duration you have selected). 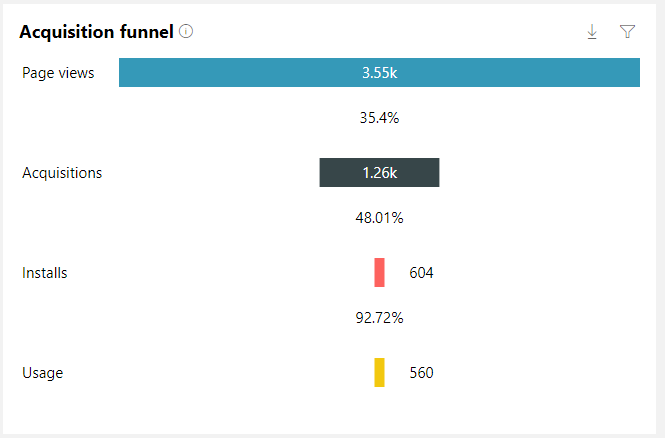 The acquisition funnel shows you how many customers completed each step of the funnel, from viewing the Store page to using the application, along with the conversion rate. This data can help you identify areas where you may want to invest more to increase your purchases, facilities, or usage. Page Views – This number represents the total views of your application’s store list, including people who are not logged in with a Microsoft account. This does not include data from customers who have chosen not to provide this information to Microsoft. 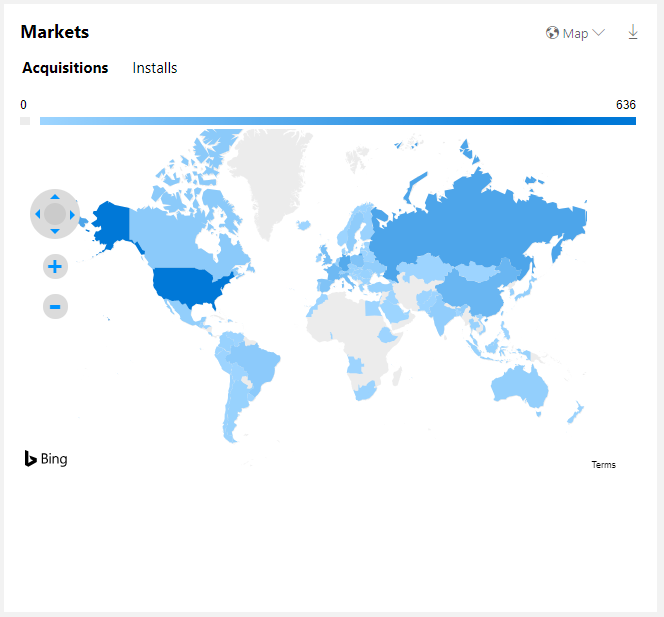 Acquisitions : The number of new customers who obtained a license for your application (when you logged in with your Microsoft account) within 48 hours of viewing your Shop listing. Installations : The number of customers who installed the application after purchasing it. Usage : The number of customers who used the application after installing it. The Markets table shows the total number of purchases or installations during the selected time period for each market in which your application is available. You can choose whether to display procurement data or install . You can view this data in a visual map form or change the settings to view it in table form. The table form will display five markets at a time, sorted alphabetically or by the highest/lowest number of purchases or installations. You can also download the data to view information from all markets together. 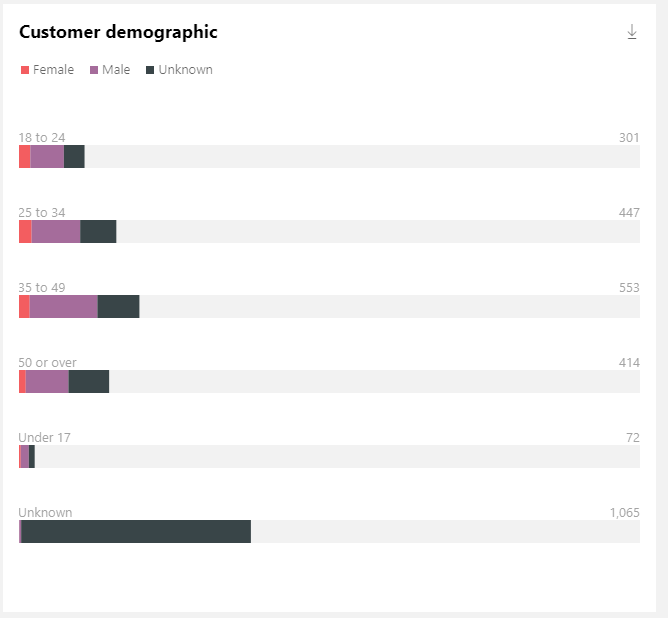 The Client Demographics table shows demographic information about the people who purchased your application. You can see how many acquisitions (in the selected time period) people made in a given age group and by gender. 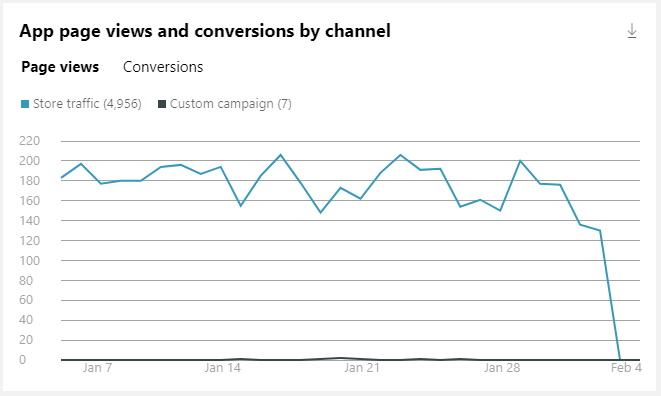 Application page views and channel conversions allow you to see how Windows 10 clients got listed in your application during the selected time period. Store traffic: the customer was browsing or searching within the store when he saw the list of your application. Personalized campaign: the customer followed a link that used a personalized campaign ID. Other: the customer followed an external link (without any custom campaign ID) from a website to their application list or the customer followed a link from a search engine to their application list. A page view means that a customer saw the store listing page of their application, either through the Web-based Store or from the Store application in Windows 10. This includes views from people who are not logged in with a Microsoft account. Some customers have chosen not to provide this information to Microsoft. Application page views and conversions by campaign ID allow you to track conversions and page views, as described above, for each of your custom promotional campaigns. The main campaign IDs are displayed, and you can use filters to exclude or include specific campaign IDs. 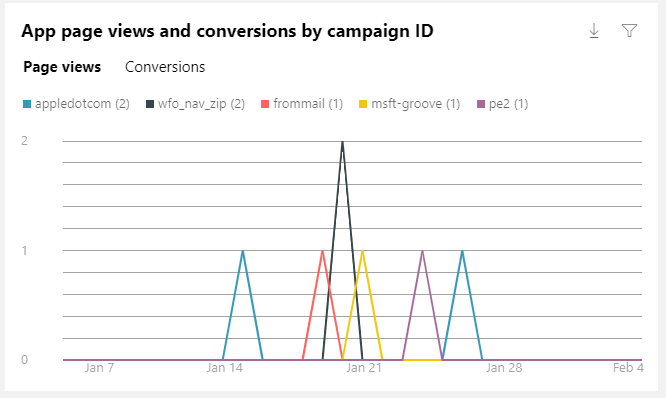 The total campaign conversions graph shows the total number of application conversions and add-ons for all custom campaigns during the selected time period. When you sign up for a developer account, you accept the App Developer Agreement. This agreement explains the relationship between you and Microsoft as it pertains to selling apps in the Microsoft Store, including the Store fee that Microsoft charges for every sale made. In most cases, the Store fee is 30%. Fees are officially defined in the App Developer Agreement. Always review that document if you have any questions. The Store fee is applied to all app sales collected by the Microsoft Store, including add-ons. Payments are made on a monthly basis (provided the applicable payment threshold has been met and you haven’t placed your payout on hold as described below). We’ll typically send any payment due in a given month by the 15th day of that month. Note that payments generally take between 3 to 10 additional business days to reach your payout account. By default, we’ll send payments on a monthly basis as described above. However, you have the option to put your payouts on hold, which will prevent us from sending payments to your account. If you choose to put your payouts on hold, we’ll continue to record any revenue that you earn and provide the details in your Payout summary. However, we won’t send any payments to your account until you remove the hold. To place your payments on hold, go to Account settings. Under Financial details, in the Payout hold status section, toggle the slider to On. You can change your payout hold status at any time, but be aware that your decision will impact the next monthly payout. For example, if you want to hold April’s payout, make sure to set your payout hold status to On before the end of March. Once you have set your payout hold status to On, all payouts will be on hold until you toggle the slider back to Off. When you do so, you’ll be included during the next monthly payout cycle (provided any applicable payment thresholds have been met). For example, if you’ve had your payouts on hold, but would like to have a payout generated in June, then make sure to toggle the payout hold status to Off before the end of May.